A portion of proceeds raised from the culturally-inspired goods help fund art programs for kids in El Salvador. Pamela and Monica Andino, sisters behind Pam + Mo. Pamela and Monica Andino, sisters of Salvadoran descent who grew up in San Jose, California, were exposed to the arts at a young age. 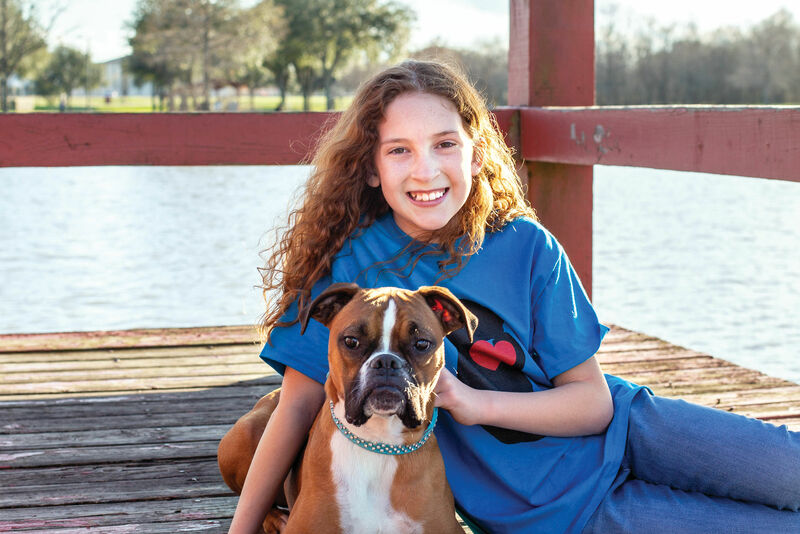 Pamela moved to Houston with a criminal justice degree in hopes of attending law school, but her heart led her back to art. 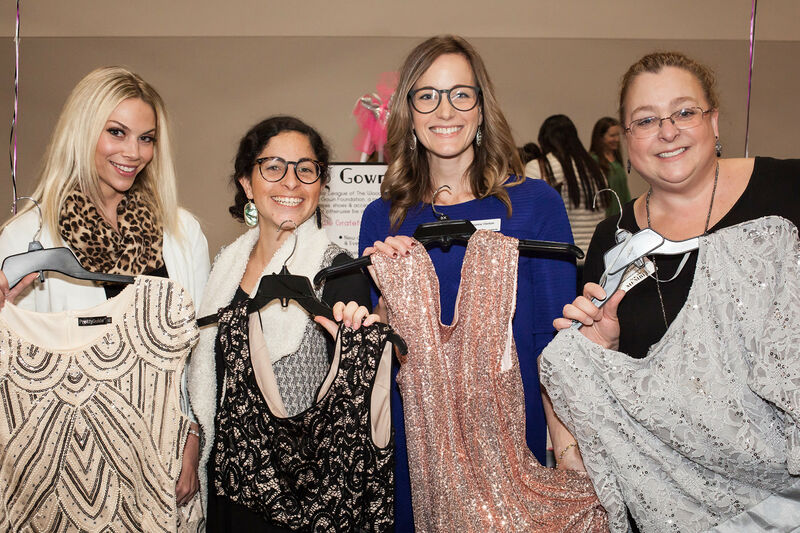 She founded Kaleidoscope Houston, a "creative collective production house," while Monica cultivated her love of fashion and worked her way up from assisting at an apparel manufacturer to designing for various well-known brands. 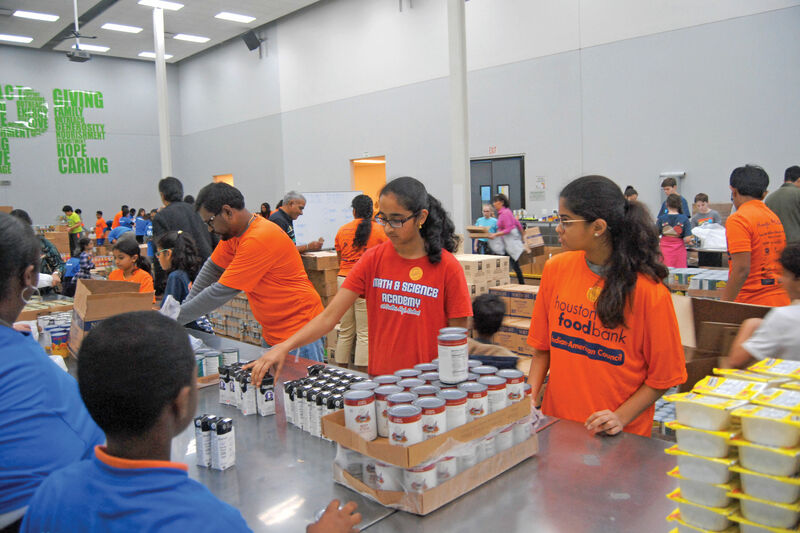 The sisters remember giving back to their community in California, volunteering with the Red Cross and donating goods to El Salvador. "It was a habit for us," Pamela told Houstonia. So it was a "natural fit," she said, to become involved with Houston-based nonprofits. 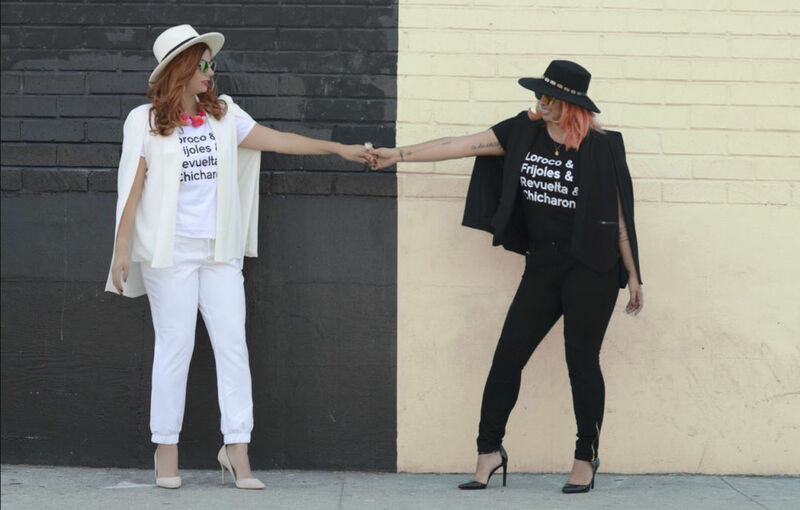 Now, the sisters have founded Pam + Mo, a socially conscious apparel and accessories brand that donates a portion of proceeds to fund creative programs for children in El Salvador. 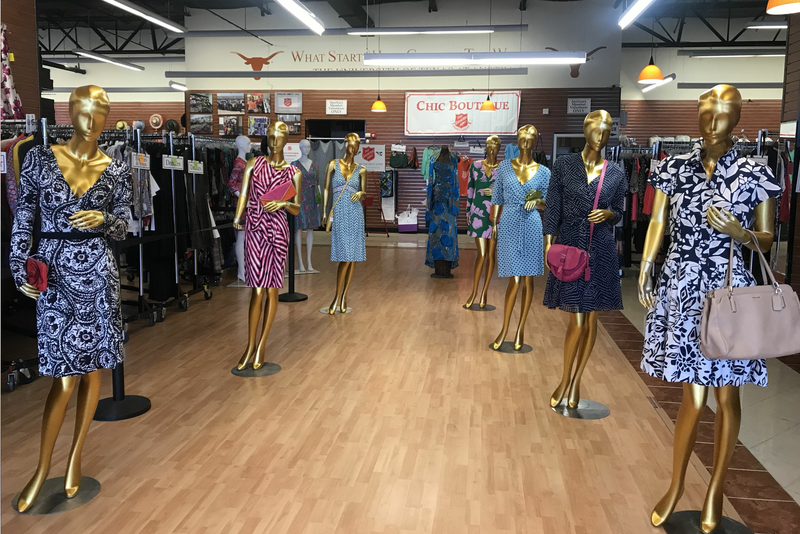 Pamela and Monica talked to Houstonia about their latest venture. How did Pam + Mo begin? Monica Andino: We created the brand to simply do more and give back through our talents and resources. Through my career and travels, I was lacking a sense of purpose in helping something or someone greater than me. It wasn't until my sister and I were invited to El Salvador to meet with the president and first lady at an open house for business leaders and potential aids of Salvadoran businesses; that was when the ah ha! moment happened—being there and being exposed to our culture first-hand and seeing many children in need. We knew that we needed to take everything we've learned, every resource we had, and create something that could impact those children, and so Pam + Mo was born with that purpose. Pamela Andino: I was born in El Salvador, my sister was born in the United States, but we never lost our culture. We wanted to make sure our brand represented the cross-culture, what giving back means, what our heritage is. MA: We want to be hip and appeal to fashion-forward men and women from around the world but also keep it simple, cross-functional, and timeless. Our big impact is in our screen tees. We have a tee that we call the "Pupusa tee;" it lists ingredients in different types of pupusas, the native food of El Salvador. In a way, those ingredients are also what made up our childhood. We also wanted to design more than just tees and not focus so much on an entire ready-to-wear collection, so we decided to create handbags for our Fall/Winter 2018 campaign. PA: Our designs are meant to create an impact, to give inspiration and opportunity to areas which are culturally deficient in the creative elements. In El Salvador, the arts are not accessible to all; you have to pay for programs. The push is for the more technical careers—attorneys and doctors—because you think those careers are the only ones that will help you succeed. [The brand] is also to show that our success was built through creativity. What can we expect from your first holiday collection? 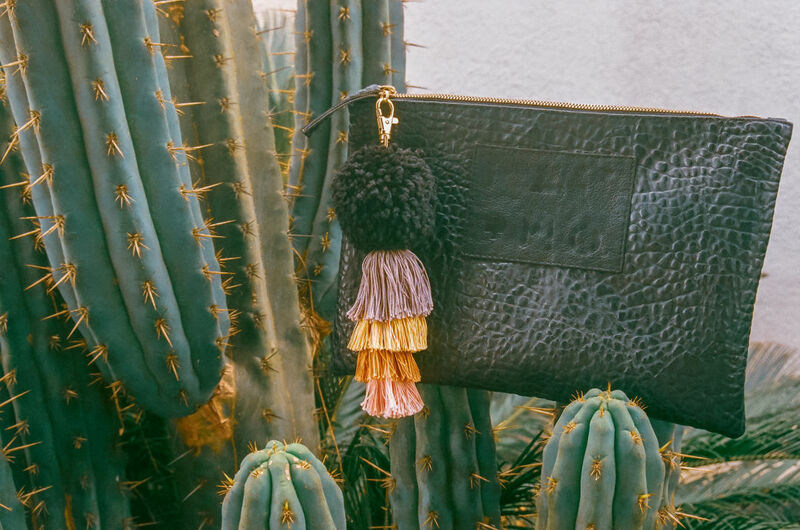 MA: The products include our vegan leather handbags with a new trim, canvas tote bags, and unisex crew-neck sweatshirts along with jewelry and art prints. What does it mean to be a socially conscious brand? MA: Being aware of how garments and products are made, from the fibers to who is cutting and sewing our product and in what conditions. Are they working in adequate working environments? Are recycled materials being used when possible? Leaving less of a carbon footprint in a wasteful, consumer-driven industry is a big focus for us. Why do you think other brands have yet to embrace this concept? MA: I have seen many different factories and workroom conditions across the globe—some good, and others shocking. I know first-hand the focus for many brands is the revenue; buying low, selling fast and cheap. Being transparent with how and where we manufacture our products is extremely important to us. I feel that our customers will understand and appreciate that we aren't going to compromise quality or workers' environments for a greater [profit] margin. What type of programs are your proceeds funding? MA: Growing up, art and music were very prevalent in our lives. To us, those creative outlets were everything, and to imagine what our lives would be without them, I can't even picture it. The arts are not a luxury or "extracurricular" for any child, anywhere in the world. We want to shed light on what helped shape us as individuals and give children the same opportunities we had growing up; to help them grow, utilize their creative talents, and think outside the box. We are partnering with programs in El Salvador that provide musical education to underprivileged children, as well as helping to fund art supplies for classrooms in need throughout the country. We want to be known as great aides and allies in the arts for these poverty-stricken Salvadoran communities. PA: We've had this opportunity of having art programs, being educated, attending college, and if we can provide that for a young mind to move forward, we want to. We know the value of being creative and the value of getting these programs in place because they will expand the mind. Recently, there have been a lot of guns and violence in schools in El Salvador, and these programs will be such a great outlet. A lot of children in these countries grow up thinking they will join a gang, and it's difficult to see that happen. Why was it important to incorporate your culture in your designs? MA: We had this longing of connecting to our culture. Our parents raised us with pride for where they came from and who we were as our nationality. There is so much beauty in the Salvadoran culture—the art, music, beaches, textiles, the food. We want to give that a voice, and make sure everybody has a chance to experience that same beauty that we know of, and not just the stigma of El Salvador being a country full of gangs and violence. PA: We wanted to keep our designs genuine. One of the things I heard a lot growing up was that I was Mexican, and I would say, but I’m not. The identity is a big part of our brand. We are Salvadoran-American designers, and we want to showcase that. 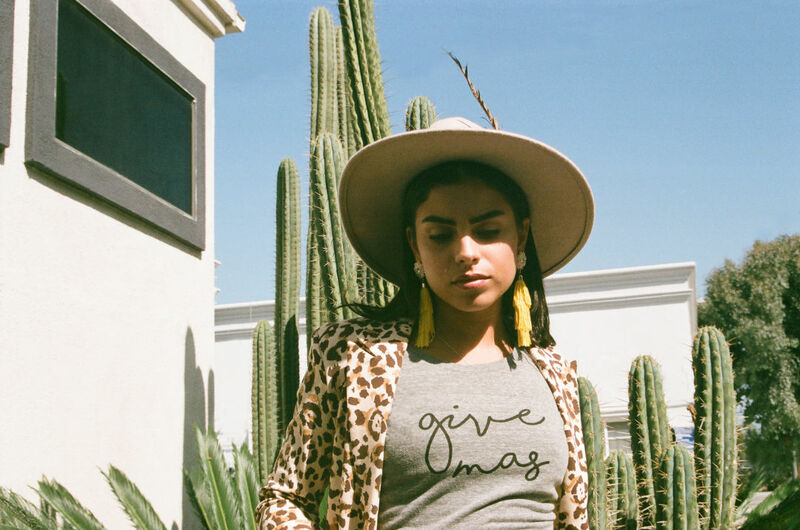 With the ‘Give Más’ tee, we wanted to cross the culture of Spanglish—I have friends that don’t speak Spanish, but that doesn’t mean they’re less Latino or Latina than I am. It shows the full-scale support we must give each other. And we’re not saying our designs are only meant for us to wear; anyone can wear them.